We all have been looking forward to this little pause in the year, where we can stop the clocks and relax a little. So whether you are at home or visiting your cabin getaway in the mountains, here is a "me time" pampering suggestion for you this Easter. This year the winter has been long, never-ending even, which has been taking a toll on our skin and hair. A lot of us will be experiencing all of these common winter problems like dull, lacklustre, straw-like hair with no shine, where the cause is found in the contrasting relentless cold weather and the warm central-heating indoors. This strips the hair of moisture, leaving it dry and in some cases brittle, which can amplify split-ends. Therefore in order to re-boost your hair and give it a revitalisation, it is important to replace the moisture deficiency that has occurred. A hair mask is the best answer to helping fix this problem whilst also giving you an excuse to treat yourself, switch off and unwind. Run a bath, light some candles, put on you favourite music, read a book and let the hair mask do the work. This is a perfect choice if you are looking for the natural option but don't have time to make your own DIY mask at home. Biolage RAW products are of 95% natural-origin whilst getting the green light by being 99% biodegradable. In addition their products contain no silicones, parabens or artificial colorants. ESCAPE RECOMMENDS BIOLAGE R.A.W. RE-HYDRATE MASK. 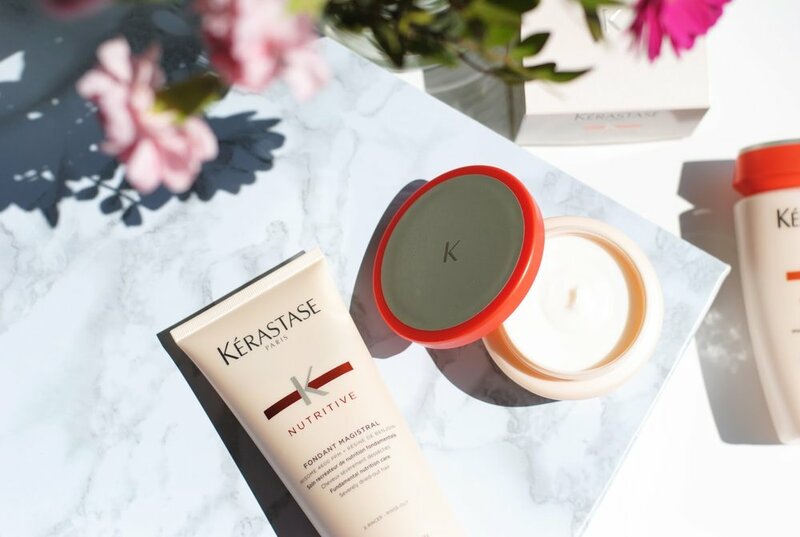 A customer favourite, Kérastase has a good selection of different hair masks to suit all different hair types and needs. However a good all-rounder for many different hair types, which can help boost hair after suffering from winter dryness is their range, Nutritive. Within this series they have, two different hair mask, one for thick and one for thin hair, which contain On-Surface Technology that envelops the hair fiber from root to tip, without giving any unwanted weight.